My husband thinks these earrings look like squares twisted inside out. 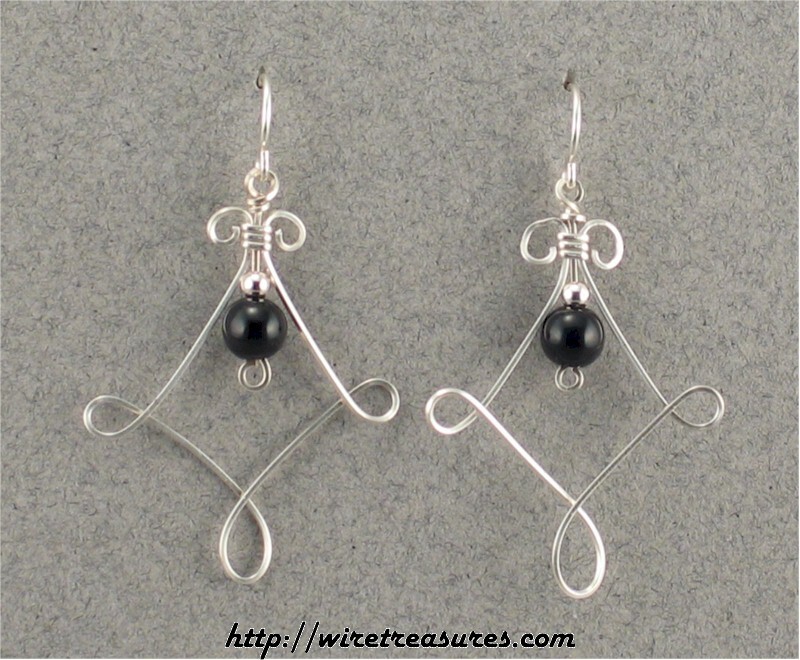 This pair is highlighted with two 6mm Onyx beads! These earrings hang down about 1-7/8" and are about 1-3/4" wide. You are visitor number 4,556 to this page.